All of the EBSCO databases allow you to easily link back to an article, book, or a search. Use the "permalink" option under Tools. 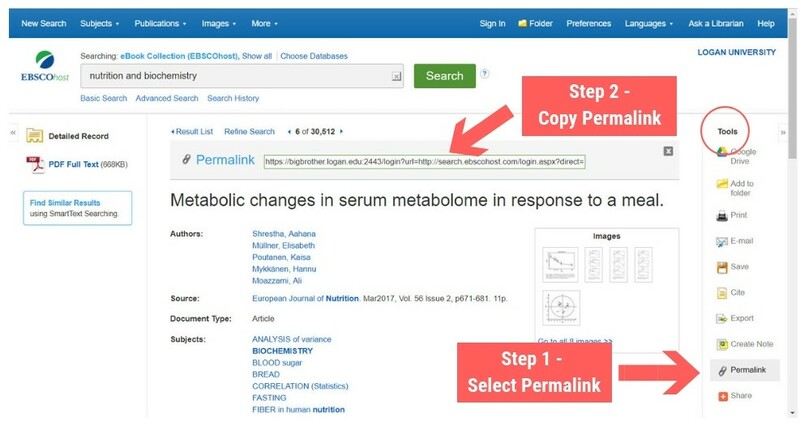 To grab a permalink for an EBSCO record (an article or book), go to the full page for that resource by clicking on its title. 1. Click on Permalink under Tools at the right side of the record. 2. The permalink will then display at the top of the record. Then simply copy the entire link and paste into your resource.